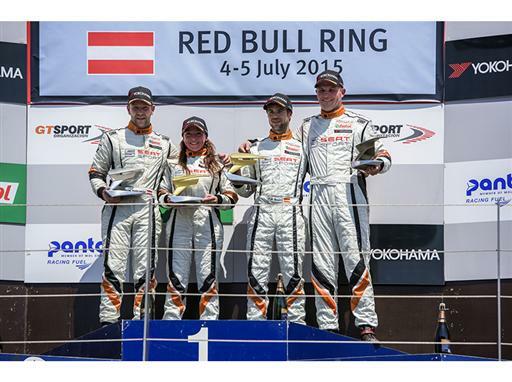 SEAT | thenewsmarket.com : SEAT Leon Eurocup – "All of South Africa Was Watching Me"
Martorell 30/07/2015 – The SEAT Leon Eurocup continues to accumulate followers on a global scale. The most recent was South African driver Shane Anthony Williams (Wolf-Power Racing) who made his debut in the single make series at the last round celebrated at the Red Bull Ring. Williams unveiled a set of impressive performances to climb the podium in both races at the Austrian circuit. Beyond his results and impactful presence over the weekend, Williams' participation also means that the African continent has been added to the cosmopolitan list of drivers that have attempted the prestigious championship this year. At the mid-point of the current season drivers from seventeen countries and across three continents have contested at least one of the four rounds scratched off the 2015 slate. Racers from Europe, USA and Africa and from nations like Spain, Austria, Switzerland, Monte Carlo, Italy, France, Norway, Portugal, Andorra, UK, Hungary, Serbia, Montenegro, Costa Rica, Belgium, Holland and South Africa, form the illustrious list of competitors to-date in the 2015 SEAT Leon Eurocup. "All of South Africa was watching me! It was really exciting to see all the people connected and looking through the 'live streaming' and sending me photos. It's really nice. The SEAT Leon Cup Racer is really cool to drive and feels like a proper racing car. It was a very exciting experience to compete against all those other drivers from different countries and for that I think SEAT Leon Eurocup is a fantastic championship in which to compete. It would be really good to do the full series," commented Williams. His intention is not to be just another sitting on the periphery of the SEAT Leon Eurocup as the South African has already demonstrated that he packs talent in spades. From his promising debut the driver hopes that the doors will be able to swing open to his greatest dream: to continue following the intense emotions and excitement inherent through the SEAT Leon Eurocup. The SEAT Leon Eurocup is a SEAT Sport competition which this year celebrates its second edition. Races were held over six weekends in the first year and the new season will feature seven rounds, at several renowned European circuits. The single-brand competition visits seven different European tracks: Paul Ricard (France), Estoril (Portugal), Silverstone (UK), Red Bull Ring (Austria), Nürburgring (Germany), Monza (Italy) and the Circuit de Barcelona-Catalunya (Spain). The drivers will again compete in the SEAT Leon Cup Racer, which captures the innovative spirit of SEAT, combining a striking design and a powerful engine. The image of the SEAT Leon Cup Racer displays all its power at first glance yet the DNA of the Leon family design remains intact. Although it has been developed from scratch by the SEAT Sport team as a race car, the Cup Racer is closely related to the SEAT Leon CUPRA, the brands most powerful model in terms of sports performance and driving pleasure. These front wheel drive cars are equipped with a turbocharged two-litre engine which delivers a maximum power of 330hp, also featuring a dual-clutch DSG six-speed gearbox, widely adjustable suspension and powerful competition brakes, plus an FIA homologated roll-over protection system. Since 1970, the Spanish brand has built a rich automotive heritage, winning two World Touring Car Championships (2008 and 2009) and three titles in the World Rally Championship two litre category (1996-1998), in addition to organizing successful single-brand competitions around the world. Through other international and regional programs, SEAT Sport has also won over 25 rally and touring car titles.